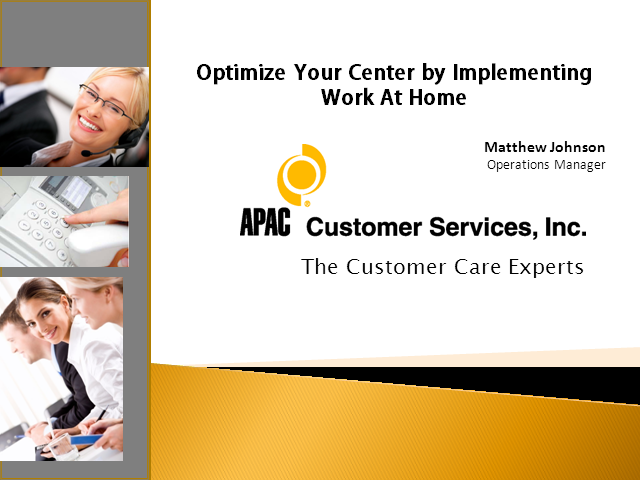 Join CCNG member Matt Johnson as he shares the impact of Work At Home (WAH) and strategies plus lessons learned. WAH is growing fast! Over the last 5 years, atHome population has more than doubled! Technology has increased the associate experience by improving functionality, security and user interface. Many businesses and contact center operations use WAH as an incentive to drive performance. Providing an effortless employee experience is critical in delivering memorable customer service. How do you ensure that your customer service professionals are communicating accurate and complete information when they interact with your customers/clients? How do you know your customer service professionals are providing appropriate products/solutions to better serve your customers/clients? Join us for this discussion in which Roger Lee, Director - Customer Success for Gridspace, will share his thoughts on how to utilize machine learning speech analytics to provide agent assistance to improve both the employee and customer experience.